When I was notified that I’d be receiving What It is Like to Go to War through the Goodreads First Reads program, I really wasn’t sure what I was getting myself into. A book about combat? Well now, that certainly doesn’t sound appealing. Luckily, Mr. Marlantes quickly put my concerns to rest. 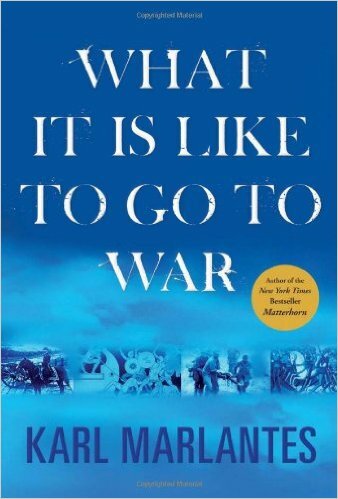 This book does discuss what happens in wars but it goes far beyond a simple play by play of what it’s like to pull a trigger. The author speaks at length about the psychological damage that’s done and how ill prepared our troops are for this. Mr. Marlantes is very honest about all sides of the coin. He talks about the adrenaline rush of being in combat, about the mixed emotions you feel when you’ve succeeded at your objective…when that objective is killing another human being. He also openly admits that if he were to be in that same situation again today, he’d handle it differently. I was also pleasantly surprised to see that Mr. Marlantes is quite the skilled writer. He wrote for a broad audience and explained the military terms without talking down to his audience. This was a powerful and important book that I would not hesitate to recommend. This entry was posted in book reviews, non-fiction and tagged book review, marlantes, non-fiction. Bookmark the permalink.